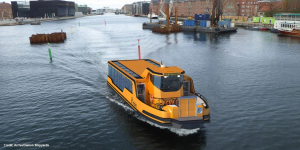 The city of Copenhagen has set aside 10 million kroner to electrify their entire fleet of harbour ferries. The iconic water taxis in EV form will be launched in Copenhagen Harbour by 2020, and ticket prices will stay the same, says the city. The Danish capital relies on their waterways as part of their public transport system and the harbour ferries, actually called harbour buses, cost the same as a normal bus ticket and ferry pedestrians and tourists between the Royal Library, Nyhavn, Opera, the Little Mermaid Statue and Refshaleøen in Copenhagen. The move to fully electrify the fleet comes with a change in provider. British Arriva will take over the service after winning a competitive tender issued before the original contract expires at the end of 2019. Arriva already runs a number of services in Copenhagen such as the DriveNow car sharing in conjunction with BMW for example (we reported). The city’s investment of 1.3 million euro will go into charging infrastructure. “We do not expect the operation of the harbour buses to be much more expensive than today. 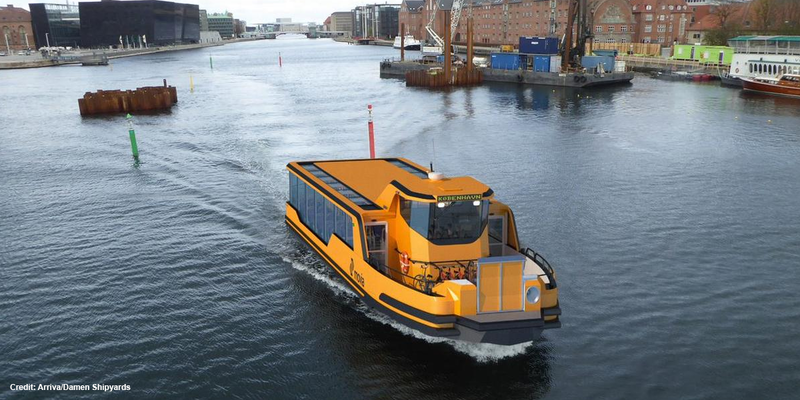 But it is correct that we have set aside 10 million kroner to implement charging ports, so the electric boats can be recharged at the final stations,” Copenhagen Mayor Frank Jensen told Politiken, the Danish newspaper that broke the story. The new electric vessels will be green not yellow, larger in size and have more windows. The Copenhagen harbour buses will have room for 80 passengers, eight bikes and four prams or wheelchairs and will run every 30 minutes all year round. The manufacturer of the electric ferries has not been named nor have any technical details been added. Copenhagen plans to become the first CO2-neutral city in the world by 2025, and it stands to reason that the new electric harbour buses will play their part in it and memorably so. Don’t stop at the boats. Make all cars pay a city centre toll and electrify all the busses. Start with the tour busses.